Our modern cabins come fully equipped with running water, electricity, Wi-Fi internet and heat for our fall and winter customers. Cabins are supplied with bedding, towels and everything needed for cooking, including a microwave oven and charcoal grill. Each cabin is setup with a full bath, and twin beds. Parking for your vehicle and/or trailer is provided behind your cabin, which we will always keep snow-free. Also an exterior plug-in is provided for those extra cold mornings. Put your garbage out on the step in the morning and we'll take it from there. To avoid the mess and smell, we have a heated building to clean fish in. We are charging $55 per night per person for the cabins. 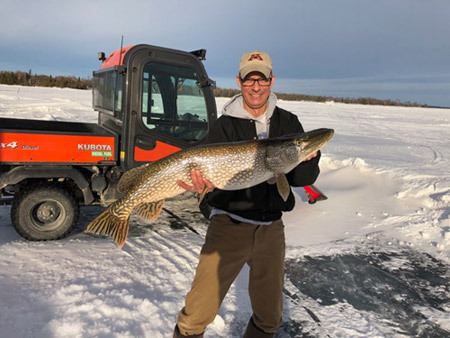 Red Fox Ice Fishing Company has offered their services at $70 per day for their all-inclusive ice fishing. It includes bomber rides to and from the fishing grounds, leaving from Jerry's Restaurant, heated fish houses, pre-drilled holes and bait. 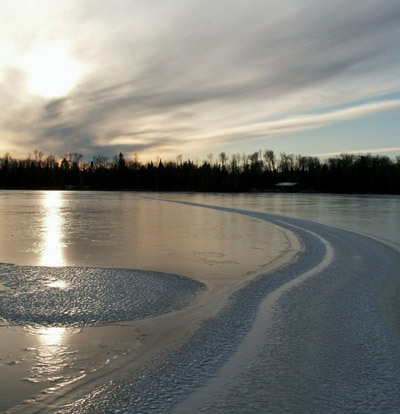 All you have to do is bring your own rod and tackle, kick back and catch some fish! 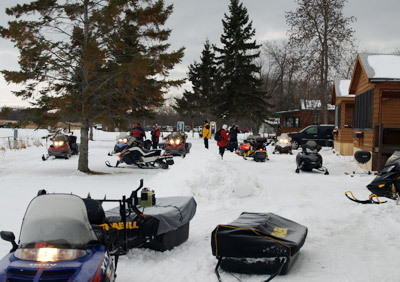 Snowmobiles are always welcome as well if you want to do some trail riding or have your own portable.